Lean and Six Sigma Activities consist of a feedback loop. When primary objectives are set into place by the critical organizational team, metrics are implemented to ensure that pre-determined targets are being met within a suitable range. Occasionally, from data analysis of a process, it may be identified that a critical parameter is off target and has been for an extensive period of time. The problem may not necessarily be immediately detrimental to the relevant department, but with careful analysis, be identified as an issue, which if solved, may have tremendous business value to an organization. Such an occurrence will warrant what is known as a kaizen event. Suitable examples for kaizen event implementation include air leak assessments, steam leak assessments and other 5S related activities such as ensuring that suitable pipelines are color coded. The aim is to ensure that the identified opportunities are carefully resolved over time, in order to achieve substantial gains, in the form of savings. 1) A facilitator – Six Sigma usually has varying operational champion. An appropriate trained facilitator will be needed, in order to ensure that the process is flowing smoothly. 2) Appropriate multi-disciplinary teams consisting of operators, supervisors, engineers and any other appropriate resources such as the accounting department or procurement departments to provide financial data. 3) An appropriate venue to house the event, along with the critical stationery to facilitate process mapping, and final presentations to the key stakeholders. The following is a suitable breakdown of how Kaizen activities should be organized, on a day by bay basis. Three day kaizens are often recommended, because they are more efficient. Most organizations don’t have the luxury of pulling teams of their staff from regular duties, so pay keen attention to scheduling. Day One: Process Introduction: Typically, not everyone who is invited to a kaizen event, will be abreast of the current opportunities that exist. The process facilitator usually opens the event with a detailed process presentation highlighting the background of the problem in question. Following this the group splits up into teams with particular focus areas related to the issue, and a suitable current condition will be identified, as well as a target condition if possible. Any relevant research will be executed by key personnel such as process engineers, in order to facilitate any future changes. Day Two: Kaizen Identification and Execution: If any experiments or tests can be conducted, day two is usually best for this activity. This usually involves the access of parts if any are readily available, so interaction with the stores or warehouse will be relevant during this time. Out in the field, if a problem can immediately be fixed, such as an leak being patched… go right ahead and do it. If no immediate changes can be made… take photographs of the opportunity for presentation to the management on the final day. Collate all your data by the end of the day. Day Three: Stakeholder Presentation: Day Three is usually a quiet day, for organizing the final information for presentation at the end of the day. 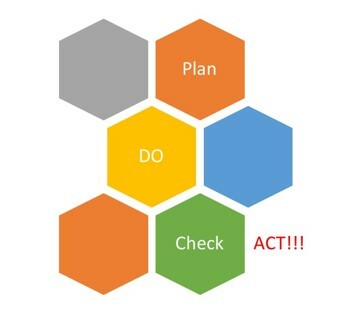 Using the Problem Solving A3 Style, which highlights the background, current condition, target condition and action plan, present your findings to the management team. If any activities will require sponsorship for future planning…highlight them for future reference. All in all, kaizen events are productive events, which leave participants feeling connected to the organization. There’s a sense of ownership that comes from knowing that you are empowered enough to impact the performance of an organization.